Calligrapher, stonecutter, illustrator, and type designer, Stephen Harvard's art and craftsmanship were rooted equally in the history of the book and the natural world. At his untimely death in 1988, Harvard left both a collection of graphic works and a body of prose that explored his dream of an ideal alphabet, "a perfect, proportionate set of images that shine with a pythagorean light," a dream that Harvard found as compelling and impossible "as the search for perpetual motion." 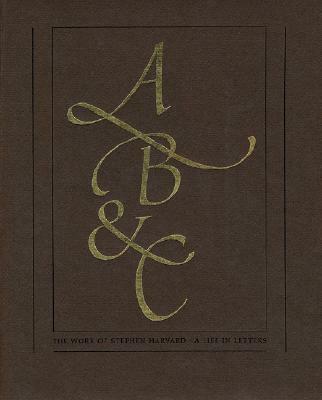 David P. Becker's lovingly edited and sumptuously illustrated catalog, which won the American Library Association's 1991 Leab Exhibition Catalog Award for Excellence, bears out Harvard's conviction that typography, which is at once art and craft, must "strive to satisfy the intelligence and not the intelligentsia.